Danielle Johnson (NZ) and Stonefield Flyer winning the first race. Sara Slot (DK) winning the second race onboard Flying Barrel. Racegoers at the parade ring at Bro Park. Lord of Trouble became the first of Maryline Eon's two winners in the Lady Jockeys' Thoroughbred World Championship. 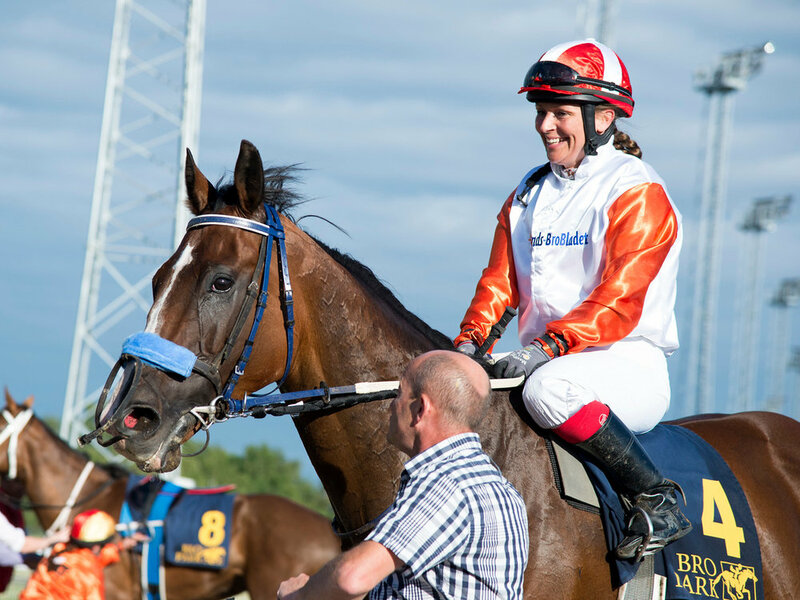 Hayley Turner made a comeback from retirement to compete in the Lady Jockeys' Thoroughbred World Championship. Another winner for French jockey Maryline Eon, this time on Azzola. 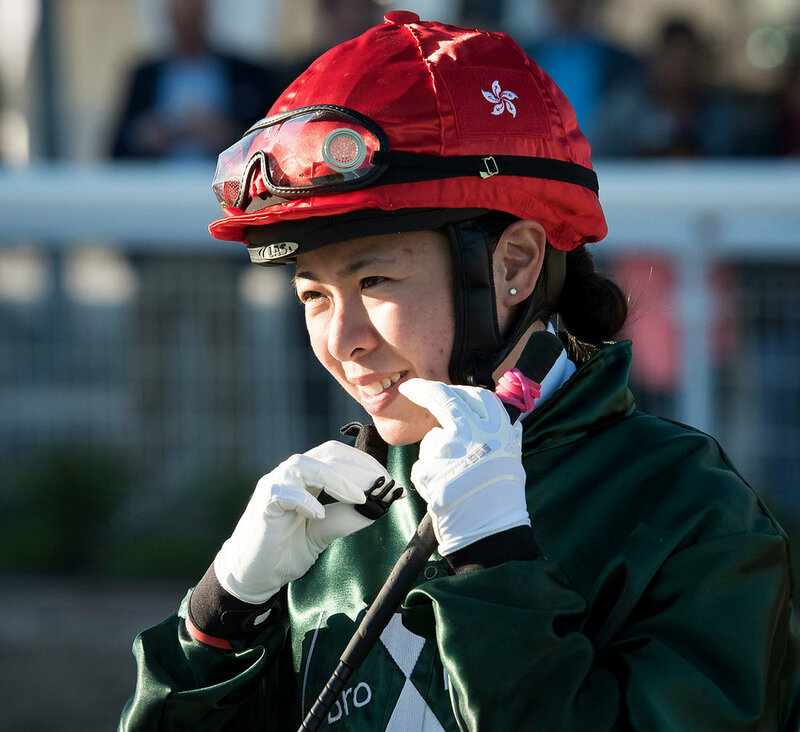 Kei Chiong represented Hong Kong in the Lady Jockeys' Thoroughbred World Championship. Danielle Johnson from New Zealand was sponsored by Gallop Magazine in the Lady Jockeys' Thoroughbred World Championship. Sara Slot and Norse Magic win the final race in the Lady Jockeys' Thoroughbred World Championship from Maryline Eon and Loop De Li. Maryline Eon, the winner of the Lady Jockeys' Thoroughbred World Championship, receives the trophy from the event sponsor Benny Andersson. 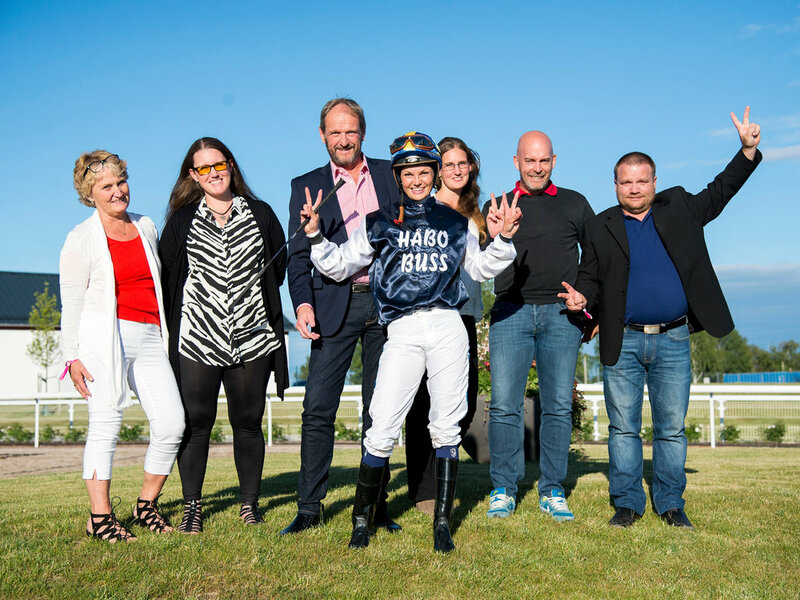 Swedish rider Fanny Olsson and representatives from Håbo Buss, her sponsor in the Lady Jockeys' Thoroughbred World Championship.